Product prices and availability are accurate as of 2019-04-11 19:26:20 EDT and are subject to change. Any price and availability information displayed on http://www.amazon.com/ at the time of purchase will apply to the purchase of this product. 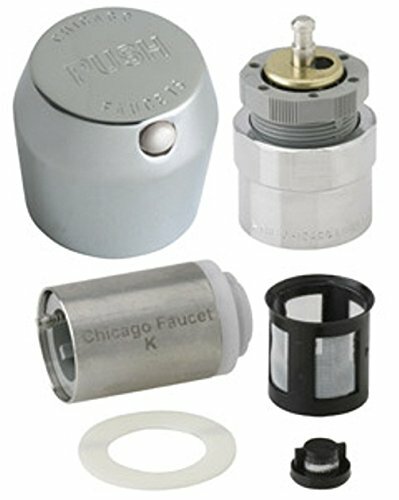 Chicago replacement part; ; 665-RKPABCP.Part number 665-RKPABCP is a 1 3/4 inch MVP metering push handle. Includes handle, actuator, metering valve cartridge with in-line filter Metal chrome plated finish Single handle. Commercial Parts.